A misdemeanor is a crime punishable by less than one year. 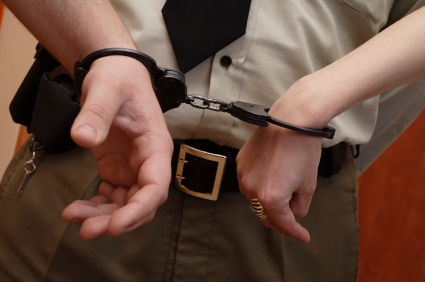 Arrests can only be made for crimes that occur in the presence of the person making the arrest, or with a warrant. These crimes are less serious crimes than felony offenses and are handled in the county court system. However, a first offense misdemeanor can become a felony after repeated offenses. You should be concerned about additional consequences of a misdemeanor conviction. Some individuals with professional certifications and licenses can lose their livelihood depending upon the nature of a conviction. You could be charged with an enhanced or "gross" misdemeanor, or a higher class of misdemeanor. These misdemeanors can mean more jail time, and more severe life restrictions. Do not fool yourself. Even if you are charged with something you feel is insignificant, such as shoplifting, domestic disturbance or drug possession, you may need immediate representation. These may be serious matters that could change your life forever. The sentencing scheme for most misdemeanors is typically found with the definition of the specified crime. Many misdemeanors provide for a minimum punishment. If the crime is defined in the law as a misdemeanor but fails to mention a specific punishment, then the maximum jail time is six months. Though often an we can convince a judge to not order any jail time, especially for some "first offense" misdemeanors. Frequently, it is appropriate to negotiate a "plea-bargain" or reduction of an offense or compromise on the proposed punishment so as to avoid more serious consequences. In some instances we can have your case dismissed. If someone is convicted of a misdemeanor the court can either grant or deny probation. If probation is granted, it generally lasts for up to 3 years. And if the court imposes a fine, it will often provide for an alternative sentence consisting of community service hours in lieu of a fine. We may even petition a conviction to be set aside and dismiss the case, releasing the defendant from its penalties and disabilities. If probation was granted, the defendant must have successfully completed the terms of probation. If probation was not granted, the defendant must have completed the sentence of the court and wait a year before filing the petition. The defendant must also establish that he/she is living an honest life and is free of any other subsequent arrest or sentence. This remedy does not have the effect of sealing the record of arrest. Filing the Case: The case is filed with the District Attorney’s office. This document provides notice as to the offense charged. Defendant: If the defendant is in jail he/she will be brought to court. If the defendant was able to bond out of jail he/she will be notified by mail. First Appearance/Arraignment: If on bond the person accused must appear in court. Announcement Settings: This allows the lawyer and the district attorney to decide if it will be dismissed, plea bargained or set for a jury or bench trial. Plea Setting: If the defendant has chosen to take the plea bargain offer then the case will be set for a plea. This is were the defendant will enter his/her plea. Trial: If you have been charged with a criminal offense you have the right to plead not guilty and have a trial by jury or before a judge. Probation: A defendant may be eligible to have a jail sentence probated and not be sent to jail. Danny Sheena has represented numerous clients in various misdemeanor cases. Whether it be trying your case to a jury or obtaining a favorable plea bargain agreement, The Sheena Law Firm is ready to help. We represent those accused of all types of misdemeanor crimes. Contact us today if you have been accused of a misdemeanor crime.